Welcome to this year's 36th issue of DistroWatch Weekly! One of the nice things about open source software is it is easy to share our favourite operating systems and programs with other people. Free and open source software encourages sharing, not only of code, but of information and applications too. This week Jesse Smith explores Peppermint OS, a distribution he has had good experiences with when sharing it with others. In our News section we discuss changes to the Manjaro Linux project's leadership, openSUSE planning an extra beta release for additional testing and the TrueOS project adopting a rolling release schedule. In our Tips and Tricks column we explore a variety of topics from copying columns of text, to organizing files, to creating torrents. Plus we share the torrents we are seeding and provide a list of last week's releases. In our Opinion Poll we discuss encrypting e-mails and other messages. We wish you all a fantastic week and happy reading! The latest release of Peppermint OS was launched back in June and I meant to take it for a test drive then. However, one exciting release after another distracted me until now. Peppermint is a project I pay attention to because it is one of the distributions I have had the most success with when it comes to transitioning people from Windows to Linux. Peppermint's lightweight nature, speed, relatively uncluttered interface and solid hardware support (thanks to its underlying Ubuntu base) have made it an attractive option. Peppermint OS 7 is based on packages available through the Ubuntu 16.04 LTS repositories with a few Linux Mint utilities added for flavour. Peppermint runs the LXDE desktop by default and version 7 offers users GPT, UEFI and Secure Boot support. The distribution is available in 32-bit and 64-bit builds for the x86 architecture. The ISO for the 64-bit build of Peppermint is approximately 1GB in size. Booting from this media displays a menu where we can choose to try the live desktop environment, launch the system installer or check the disc for defects. I took the live desktop option which loads LXDE. The desktop environment is presented with a panel along the bottom of the display. This panel contains our application menu, task switcher and the system tray. The application menu uses unusually large and bold fonts, making the text easy to read. On the desktop we find a single icon we can use to launch the distribution's system installer. The desktop uses a dark theme with brightly coloured icons. Personally, I like the bright icons on a dark background coupled with the large font. I found the combination made it easy to browse the application menu and find launchers I wanted to use. Peppermint uses the same system installer Ubuntu does. We begin by selecting our preferred language from a list and we can optionally view the on-line release notes. The second screen asks if we would like to download software updates and third-party packages such as wi-fi drivers and media codecs. I found selecting just third-party software would work, but when I opted to also download software updates the installer would lock-up, forcing me to exit the installer and start over. The installer supports automated and manual disk partitioning. I quite like the straight forward, simple nature of the manual partition editing screen. Peppermint supports working with Btrfs, JFS, XFS and ext2/3/4 file systems. The following screens get us to select our time zone from a map of the world, confirm our keyboard's layout and create a user account for ourselves. The installer copies its files to our hard drive and, when it is finished, the installer offers to either return us to the live desktop or reboot the computer. I tried running Peppermint 7 in two test environments, a VirtualBox virtual machine and a physical desktop computer. Peppermint performed well inside VirtualBox. The system was quick to boot, responsive and stable. By default, Peppermint was not able to make use of my display's full resolution when running in VirtualBox, but the necessary virtual machine guest modules to fix this are included in the distribution's software repositories. I ran into a snag when running Peppermint on my desktop computer. While Peppermint does support booting on both legacy BIOS and UEFI hardware, the distribution would turn off my display during the boot process. This meant the system would come on-line, but I was unable to see anything. I could still use the keyboard to type commands, but I was unable to see the results. Passing the kernel the "nomodeset" parameter from the boot menu fixed the display issue. After that, Peppermint worked well with my desktop's hardware. In either test environment Peppermint tended to use approximately 200MB of memory when sitting idle at the LXDE desktop. Shortly after getting Peppermint up and running, an icon in the system tray let me know there were software updates available in the project's repositories. Clicking the notification icon launches mintUpdate, the same update manager available in Linux Mint. The update manager lists available upgrades and assigns a safety rating to each package. This safety rating allows us to select (or ignore) updates based on whether they are likely to break parts of the operating system. The first day I was running Peppermint, there were 133 updates available, totalling 145MB in size. These new packages downloaded and were applied without any issues. On the subject of managing software packages, Peppermint provides two graphical front-ends for managing software. The first is Software Manager which has been imported from Linux Mint. Software Manager provides a nice, friendly interface where we can browse categories of software. Packages are listed with an icon, name and a brief description. Clicking on a package brings up a full page description with screen shots and user reviews. Installing or removing a package happens with a single click and installations are processed in the background while we continue to browse Software Manager. The distribution also provides us with the Synaptic graphical package manager. Synaptic shows us a plain text list of all available packages and we can filter this list down based on categories and key words. Synaptic works quickly, but has more focus on individual packages rather than desktop software, making it more work to find popular desktop applications. Synaptic handles installing and removing software in batches and locks its interface while it is working. Both package management front-ends worked well for me and I encountered no issues with either one. Continuing on the topic of available software, Peppermint offers us an application menu divided into two panes. On the left side of the menu we find individual application launchers and on the right we see categories of desktop utilities. Browsing through the menu we find the Firefox web browser (with Flash support), an on-line user guide and the Dropbox file synchronization software. The Transmission bittorrent client is included along with Network Manager to help us get on-line. Peppermint ships with a document viewer, an image viewer and the VLC multimedia player. Peppermint ships with media codecs, enabling us to play most video and audio formats. The distribution features an application finder, an archive manager, a calculator and a text editor. There are also many configuration modules which can be accessed either through the application menu or via one of the two control panels. (More on the control panels later.) Many of Peppermint's applications are actually web apps rather than native applications and these web apps run in a minimal web browser. The application menu includes launchers for Google's GMail, Google Calendar and Google Drive. There are image editors provided by Pixlr and a handful of games, all of which are web apps. In the background Peppermint features systemd version 229 and version 4.4.0 of the Linux kernel. 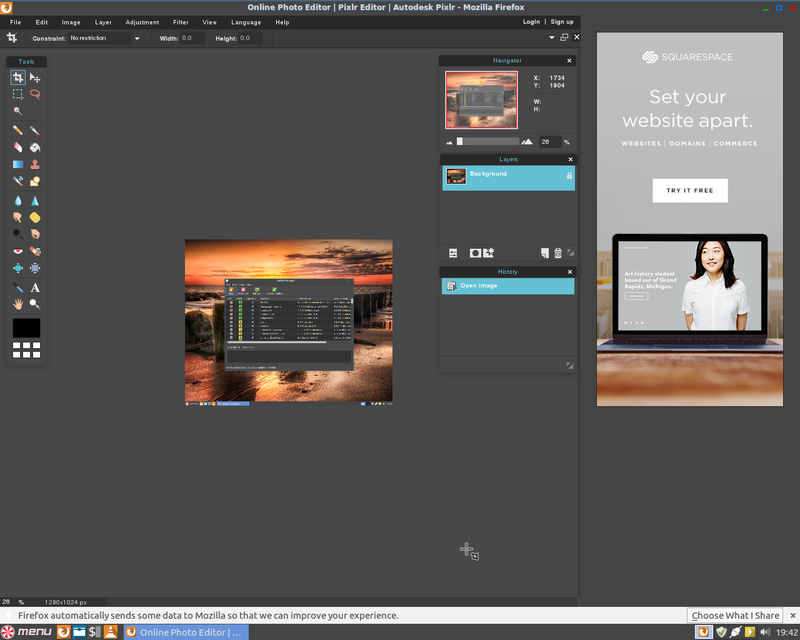 I have mixed feelings about using web apps, especially mixing them in with native applications. In my opinion there is not enough distinction made between what is a native desktop application and what is an on-line app. People who have a high speed Internet connection may not notice a huge difference in performance, but there is definitely an additional delay in load times and some of the web apps feature advertising which takes up precious screen space. I see the appeal of web apps for their portability and always up to date nature, but the costs in performance, screen space and the requirement of always being on-line greatly reduces their appeal from my point of view. One of the interesting features available in Peppermint is Ice. The Ice application helps us set up launchers for web apps. Using the Ice application we can provide a URL with the location of our app and a name. We can optionally set an icon for the new web app. Ice will add the new web app to the application menu. In effect, Ice is a bit like a web browser's bookmark manager, helping us create, organize and remove short-cuts to web apps. The distribution ships with two configuration panels. The first is called Peppermint Control Centre and its settings mostly revolve around the window manager and input devices. The Control Centre helps us adjust window manager settings and the desktop's theme. We can also adjust keyboard and mouse settings through the Control Centre. The second configuration panel is called Peppermint Settings Panel. The Settings Panel is divided into four sections: Personal, Network, Hardware and System. Each section contains launchers for configuration modules. From the Settings panel we can set up user accounts, configure power management, set our time zone, manage disks or launch the update manager. We can also configure network connections, set up a firewall, create Samba network shares and enable ad blocking at the /etc/hosts file level. The Settings Panel also features modules for installing third-party hardware drivers, setting up up printers and changing the look of the desktop. I found the Settings Panel to be very useful and the different categories made it easier to find the settings I wanted to manipulate. I have mostly good things to say about Peppermint OS 7. The distribution has good hardware support and access to a huge collection of software through the project's repositories. I like the update manager and software manager the project has imported from Linux Mint and I find both tools to be quite straight forward to use and they are reliable. The distribution is fairly lightweight in memory and the LXDE desktop was very responsive in both of my test environments. I especially like the work done to make text and icons easier to see on Peppermint as it meant I did not need to adjust the theme or font settings. Whether people will like using Peppermint will probably hinge on their view of web apps. Peppermint tries to offload a lot of tasks to the web, particularly productivity related software, image editing and e-mail. For people who like web apps and have a fast network connection, having this cloud focused approach may make sense and be an attractive feature. I personally prefer running native applications that are always accessible and tend to load faster. Whether Peppermint is a suitable solution for you will probably depend on whether Google Docs or a local copy of LibreOffice is the more attractive option. Of course, people who want LibreOffice or other native software can download these items through the software manager. Peppermint can be made to work entirely off-line and makes a nice, lightweight distribution in this scenario. The Manjaro Linux team has announced a change in the project's leadership structure. "It was a great ride so far. Since everything evolves, also people decide to get new goals. We discussed for a long time, on how we keep Manjaro Linux alive. Thanks to our great community we are still able to do so. Since I [Philip Muller] was always the single point of contact for the community and the development team, our founder Roland Singer was able to study and create his company DesertBit. 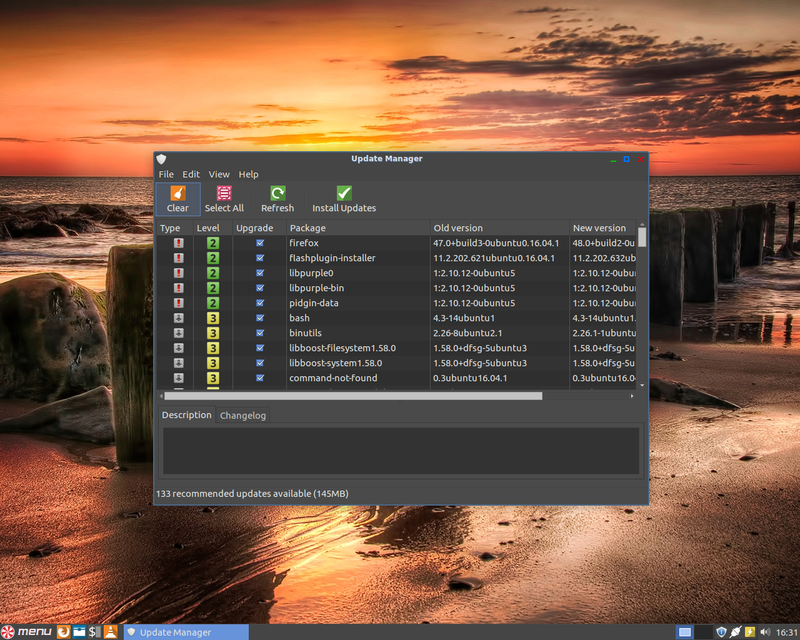 Having now almost no time for Manjaro, we decided that I'll take it completely over, which was the logical next move." From a practical point of view, little should change for the project, but donation accounts, project ownership and financials will be updated. The details can be found in this post. The openSUSE project released its first beta for openSUSE 42.2 "Leap" on August 31st. Along with the new development snapshot, the project announced an updated release schedule for openSUSE 42.2. While the final release date should still be November 16th of this year, the project has introduced a third beta snapshot into the schedule. This will give testers additional opportunity to find bugs and the developers more feedback as they work on issues. The revised schedule is below. Additional details on what to expect from openSUSE 42.2 can be found in this blog post. Last week we reported the PC-BSD project had changed its name to TrueOS, formerly the name assigned to the project's Server edition. TrueOS is not just a new name though, the project is going through a number of other changes too. In a blog post the project unveils several new features. Going forward, TrueOS will use a rolling release model, based on FreeBSD's "-CURRENT" development branch. The project is also rolling out a new tool called SysAdm which will provide remote administration capabilities to TrueOS and FreeBSD systems. TrueOS will use ZFS and boot environments to safely install software updates in the background without changing the user's environment. "TrueOS combines the convenience of a rolling release distribution with the failsafe technology of boot environments, resulting in a system that is both current and reliable. TrueOS now tracks FreeBSD's "Current" branch and merges features from select FreeBSD developer branches to enhance support for newer hardware and technologies. Weekly automatic updates keep your system always up-to-date, and all updates are performed safely within system snapshots called boot environments. 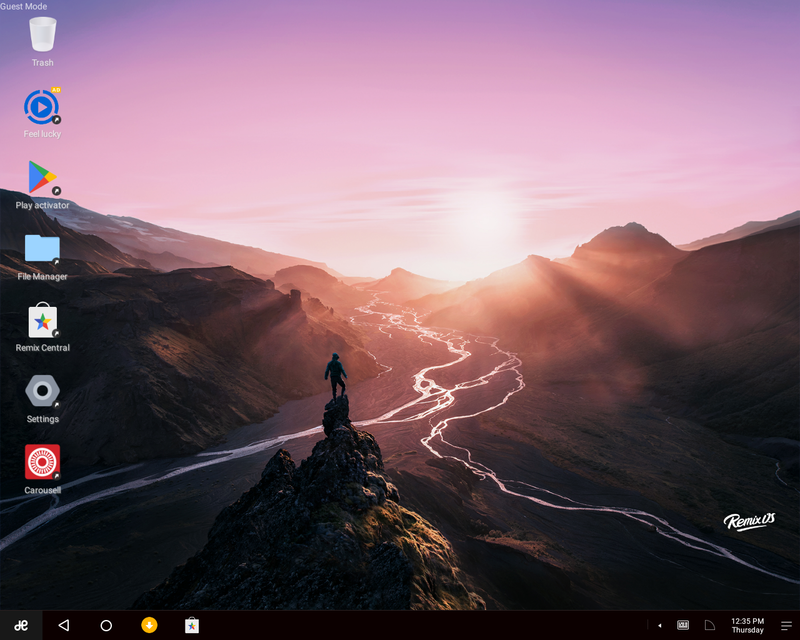 The TrueOS desktop uses the modular yet feature-rich Lumina desktop environment alongside the new SysAdm administration suite to provide a reliable desktop experience. SysAdm provides local and remote management of TrueOS and FreeBSD systems using a cross-platform graphical client compatible with Windows, Mac, and many Linux distributions. TrueOS is preconfigured for desktop and server installations using an intuitive graphical installer, taking the guesswork out of setting up a new system." Further details can be found in the blog post. I believe computers are doing their best work when they are making our lives easier. This could be accomplished by performing tedious tasks quickly, organizing things for us or providing short-cuts for common tasks. This week I would like to talk about some tools I use on a regular basis to make my work go more smoothly. One thing I find myself doing on a semi-regular basis is working with columns of text. I often want to either separate a column of text from a file or insert a column of text into an existing file. Usually text manipulation tools (including text editors) deal with lines of text, but not columns. However, there are tools available to manipulate columns of text too. When I am working in a graphical environment, this is relatively easy. 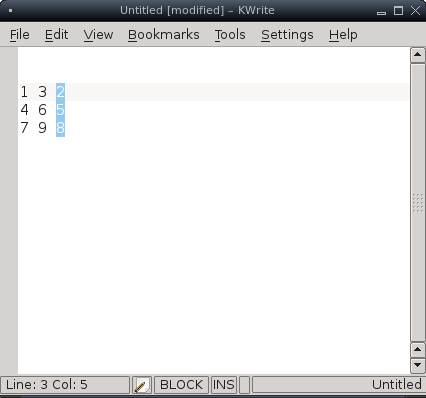 The KWrite text editor supports working with blocks or columns of text. In the KWrite menu, select Edit and then toggle Block Select Mode. This changes the way selecting text works, switching from highlighting sequential letters to rectangles. This allows us to select a block or column of text. This way we can select a column of information and cut/copy/paste it to where it is needed. When working from the command line there are a handful of tools which can be used to work with columns of text. One of the more complex and powerful is the awk scripting utility. However, most of the time the much more simple command lines tools cut and paste will work and are available by default in almost every distribution. Looking at the above output, let us pretend that I only want to see two columns of information: the command used to launch a command and the PID, in that order. The ps command could be made to rearrange its output for me, but for the sake of this example, I want to use the cut and paste commands. First, I grab the output of the ps command and store it in a file I will call output.txt. This gives me a copy of the information for later use. Next, I use cut to grab the first column (the PID) column which is six characters wide. Therefore we want to grab characters one through six (1-6). The first column is saved to a file called first-column.txt. Then I use cut again, this time grabbing the fourth column and saving the information into a file called fourth-column.txt. The fourth column, in this case, begins at 25 characters into the line and extends to the end of the line. We can tell cut to work with the forth column using "25-" as the column's range. Now we put the two columns of data back together, placing the command first and the PID second. This is accomplished with the paste command which merely needs to know which files we are working with in their respective order. Since I mentioned the awk utility can perform similar tasks, here is what the equivalent awk command would look like. This awk mini-script takes the output of the ps command and then prints the fourth column, followed by a TAB character (\t), followed by the first column. In this case, awk offers fewer steps, but awk syntax tends to get complicated for all but the simplest jobs. Meanwhile the cut/paste combination is useful in a lot of common situations. If you are like me and have developed a reputation as the family's computer nerd, you probably get frequent questions asking for help performing various tasks. Maybe it is how to send a hundred large images in one e-mail, how to backup a phone's address book to a computer or sort a spreadsheet. Today I would like to discuss organizing files. In this particular case, photographs. In this example, let's say we have been given a large collection of photos (thousands of them) and asked to sort these photos in albums based on the month and year in which the photos were taken. Luckily, for us, the photos are all named with the date they were taken. For example IMG_20151031-2.JPG was the second picture taken on October 31, 2015. The earliest photos are from January 2013 and the latest are from sometime in the year 2016. We can create separate directories for every month and sort the images into the correct folders with just two lines in the Bash shell. First, we need to create the many directories. The following command uses a built-in Bash range function to create directories for every year/month combination from January 2013 through to December 2016. Numbers placed inside curly braces (in this case a range of numbers) are expanded when the command is run. So 2013..2016 turns into "2013 2014 2015 2016". The same happens to the range of months. The above command creates 48 directories, 2013-01 through to 2016-12. Now that the directories have been created we can go through the thousands of photographs and sort them into the proper directories based on their names. There are a few ways to do this, but I chose to use a pair of for loops. The first loop goes through a list of every year (2013-2016) and the second loop goes through each month (01-12). For each year/month combination we try to find a matching file and move it into the appropriate directory. For example, IMG_20130410.JPG will get sorted into the directory named 2013-04. The two "done" keywords as the end close the two for loops, marking an end to the work we are doing. Many of us use torrents to download new distribution releases. However, relatively few of us create torrents of distributions and share them. The Transmission bittorrent software includes a command line tool for creating new torrents. All we need is a file we want to share and the URL of a torrent tracker. There are lots of torrent trackers out there, in this example we use Linux Tracker's server as that is where we share the distributions we seed. In our example we create a new torrent for the latest release of Slackware. The new torrent is named slackware64-14.2.iso.torrent and is tracked through the URL http://linuxtracker.org:2710/announce. The resulting torrent file can be uploaded to the Linux Tracker website and shared with the world. For more tips and tricks, visit our Tips and Tricks archive. George Vlahavas has announced the release of Salix 14.2 "Xfce". The new version of Salix, a Slackware-based desktop distribution, improves the boot process, provides better language support at install time and includes a few new graphical configuration tools. "We also have two new GUI system tools, both developed in-house. The first one, GUEFI, is a graphical boot manager for UEFI systems and therefore is only available on 64-bit installations using UEFI. You can use it to create/delete/edit/rearrange UEFI boot entries and I don't think there is any other distribution out there with anything similar. Then, we have gtkreposetup, which is the GTK counterpart to the console reposetup tool, and which you can use to select your preferred repository mirror. With respect to other software included in this release, Xfce has been upgraded to 4.12. The main browser has been changed back to Firefox. The Firefox package now also includes langpacks for the most popular languages too, so it will most probably also be presented in your native language without having to install anything extra. Also, network configuration is now handled by NetworkManager, instead of Wicd, which would also help people connect using their mobile 3G/4G connections... Additional details on Salix 14.2 can be found in the project's release notes. New screen shots are available on the Salix website. The GhostBSD project develops a desktop friendly operating system based on FreeBSD. The project has updated its 10.x series with the launch of GhostBSD 10.3. The new version supports booting on UEFI-enabled computers, supports ZFS volumes and includes VirtualBox modules. "What changed in GhostBSD 10.3: The installer partition editor UI and partitioning have been improved. VirtualBox additions will be uninstall after installer if it is not running in VirtualBox. Slim is replacing GDM. Network Manager displays the full SSID. Replaced the HTML/CSS installation slide with a GTK/CSS the slide." The new release also features several bug fixes. "What has been fixed: Network Manager SSID list. VirtualBox support. Install on MBR partition issue, Some installer text errors. Keyboard layout after installation with MATE. Network Manager slowness to open the menu. Network Manager icon tray crash. Local time has been fixed. Fix boot partition for GPT to supports freebsd-boot, bios-boot and efi..." Additional details can be found in the project's release announcement. 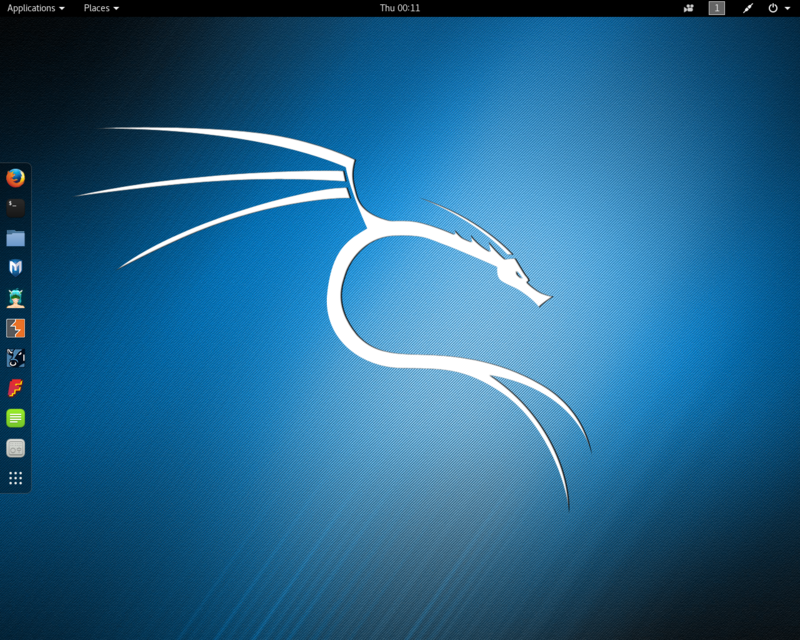 Kali Linux is a Debian Testing-based distribution which includes many forensic and data recovery tools. 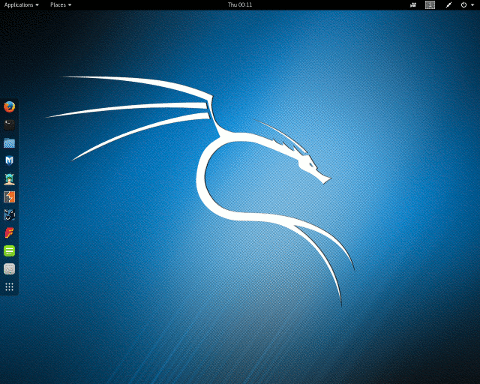 The distribution uses a rolling release model for updates with Kali Linux 2016.2 providing the most recent snapshot of packages. "During these past few months, we've been busy adding new relevant tools to Kali as well as fixing various bugs and implementing OS enhancements. For example, something as simple as adding HTTPS support in Busybox now allows us to preseed Kali installations securely over SSL. This is a quick and cool feature to speed up your installations and make them (almost) unattended, even if you don't have a custom built ISO. To set a preseed file during an install process, choose the 'install' option, then hit Tab and enter the preseed directive, together with a URL pointing to your actual preseed file." Additional details on the 2016.2 snapshot of Kali Linux can be found in the project's release announcement. Philip Muller has announced the release of Manjaro Linux 16.08, a desktop-oriented distribution originally forked from Arch Linux. This version comes in two editions, shipping the Xfce 4.12 and KDE Plasma 5.7 desktops: "After two months of development, we are happy to present Manjaro 'Ellada' to you! The Xfce edition remains our flagship offering and has received the attention it deserves. Few can claim to offer such a polished, integrated and leading-edge Xfce experience. We ship Xfce 4.12 with this release of Manjaro. We mainly focused on polishing the user experience on the desktop and window manager, and on updating some components to take advantage of newly available technologies such as switching to a new Vertex-Maia theme. 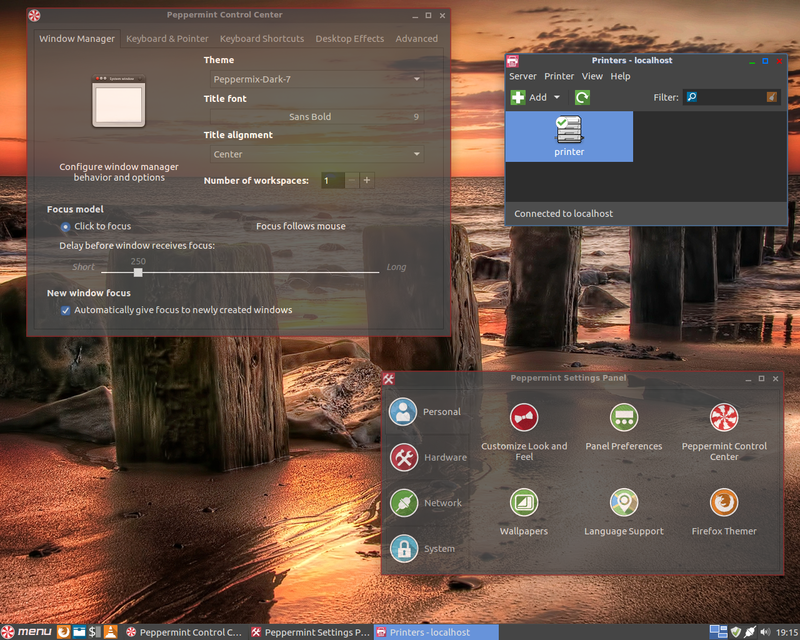 Our KDE edition continues to deliver this powerful, mature and feature-rich desktop environment with a unique look and feel, and with the perks of Manjaro's latest tools." Continue to the release announcement for further information, changelog and screenshot. Jide Technology has announced the availability of an updated release of Remix OS, version 3.0.203. Remix OS is a distribution project working on porting Google's Android (6.0 "Marshmallow") operating systems to desktop and laptop PCs. From the release announcement: "Remix OS for PC version 3.0.203. Optimizations for the Gaming Toolkit app: key mapping on the taskbar area when the taskbar is hidden is now enabled; fixed a bug where black screen appears for a few seconds when Gaming Toolkit is opened; fixed a bug where the floating button disappears when it's being dragged; fixed a bug where the floating button sometimes becomes non-responsive when it's clicked on; fixed a bug where the animation of closing the floating button repeats a couple of times when being closed; feature added that allows key mapping for F1-F12 keys; feature added so that Gaming Toolkit will automatically restart if it crashes. Other major change: added support for 32-bit UEFI installation." The OpenBSD team has announced the availability of a new stable release of their security-oriented operating system. The new release, OpenBSD 6.0, introduces many bug fixes, improved driver support for many devices and fixes a number of potential security issues in OpenSSH. The new release also features a new tool, proot, for building software ports in an isolated chroot environment. Support for the VAX platform has been dropped for this release. "New/extended platforms: armv7 - EFI bootloader added, kernels are now loaded from FFS instead of FAT or EXT file systems, without U-Boot headers. A single kernel and ramdisk are now used for all SoCs. Hardware is dynamically enumerated via Flattened Device Tree (FDT) instead of via static tables based on board id numbers. Miniroot installer images include U-Boot 2016.07 with support for EFI payloads. vax - Removed." Additional details on OpenBSD 6.0 can be found in the project's release announcement and a complete list of changes since version 5.9 can be found in the changelog. Ronald Ropp has announced a new release of the low energy wattOS distribution. 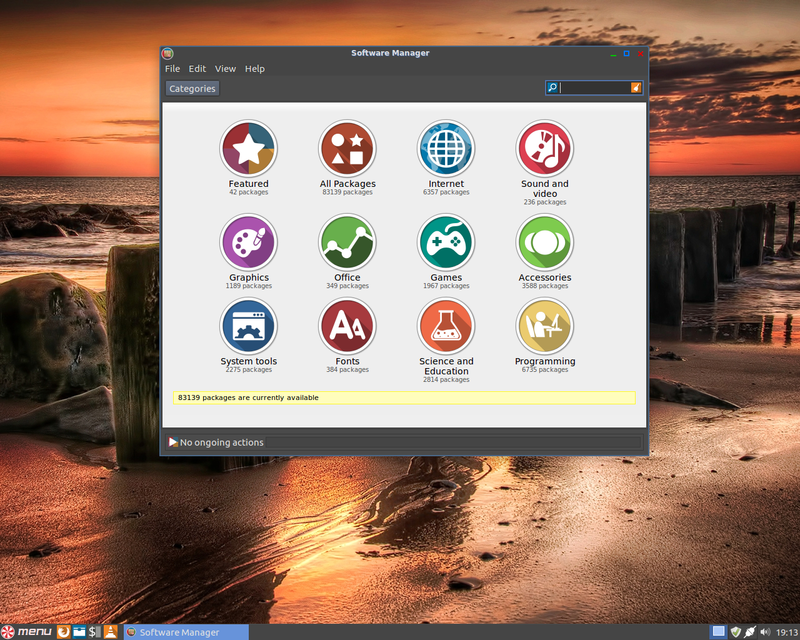 The wattOS project uses Ubuntu as a base and ships a collection of software suitable for old and low-end hardware. The new version, wattOS R10, is based on Ubuntu 16.04.1 LTS and ships with the LXDE desktop. The default music player has been changed to Lollypop and the Gufw application has been included for working with the system firewall. "The wattOS team is pleased to announce the release of the newest version of wattOS - Release 10 - (also known as R10). Built on the latest version of Ubuntu 16.04.1 LTS for long term support and stability. The Microwatt edition will not be released until a later date (look to the forums for details). wattOS-R10 - LXDE - 32 and 64bit - available now." Additional details about wattOS R10 can be found in the project's release announcement. These days most of us expect our websites to be secured with encryption. The use of encryption on the Web not only helps to hide what people are looking at in their web browsers, it also protects against attacks where malicious data is injected into a web page. While website encryption is becoming more common, private messages are still often sent in plain-text. E-mails, social media messages and information sent over SMS are almost never encrypted. This week we would like to know how many of our readers actively use encryption in their e-mails and other private messages. If you do, which tools do you use? How do you get others to engage in protecting their private messages? Please leave us the details in a comment below. You can see the results of our previous poll on the importance of software licenses here. All previous poll results can be found in our poll archives. SwagArch GNU/Linux. SwagArch GNU/Linux is a distribution based on Arch Linux. It provides the Calamares system installer and features the Xfce desktop environment. feren OS. 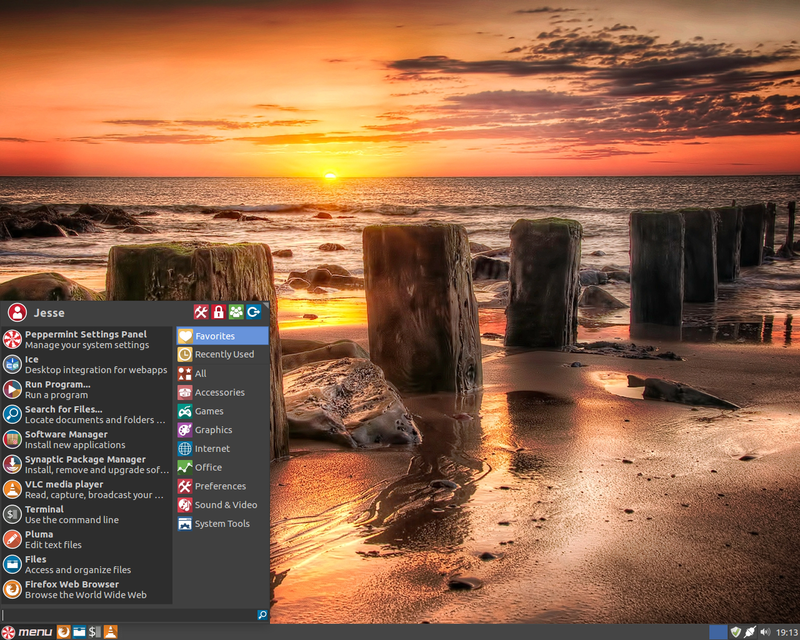 feren OS is a desktop distribution based on Linux Mint. 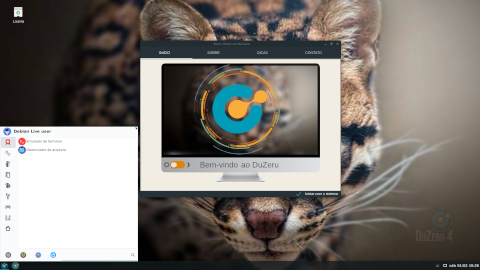 DuZeru is a Brazilian Linux distribution that is based on Debian's Stable branch. DuZeru ships with the Xfce desktop environment and is available in both 32-bit and 64-bit x86 builds.